I´d like to use the twoside mode for my print but unfortunately the page numbers are on the right side on left pages and vice versa. I´d like to see the page numbers on the outer side of each page. Since I´m not using any fancy packages so far I´d like to know which options I have to set to get this. Browse other questions tagged double-sided or ask your own question. How to put a symbol always in the right margin, even in twoside mode, like line numbers of lineno? 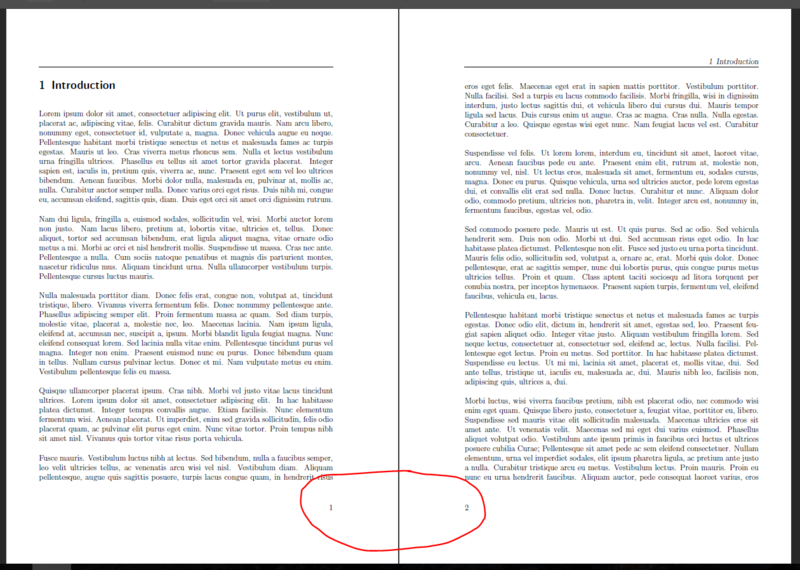 How can I preserve the page numbers between a twoside and a oneside layout?